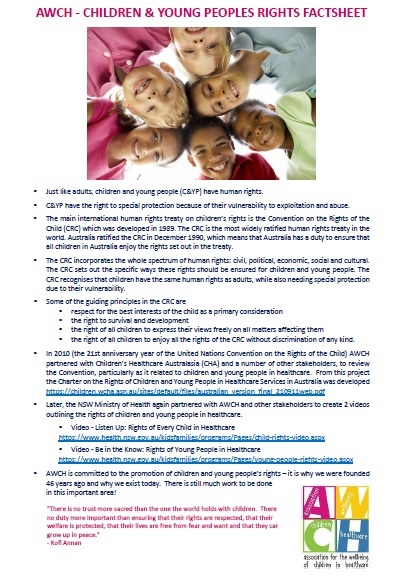 In 2010 (the 21st anniversary year of the United Nations Convention on the Rights of the Child) AWCH partnered with Children’s Healthcare Australasia (CHA) and a number of other stakeholders, to review the Convention, particularly as it related to children and young people in healthcare. 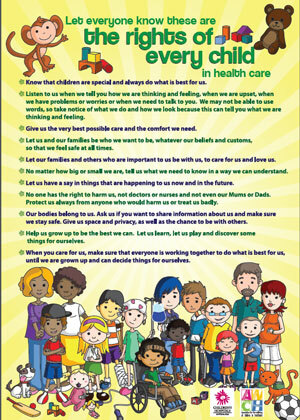 From this project the Charter on the Rights of Children and Young People in Healthcare Services in Australia was developed. 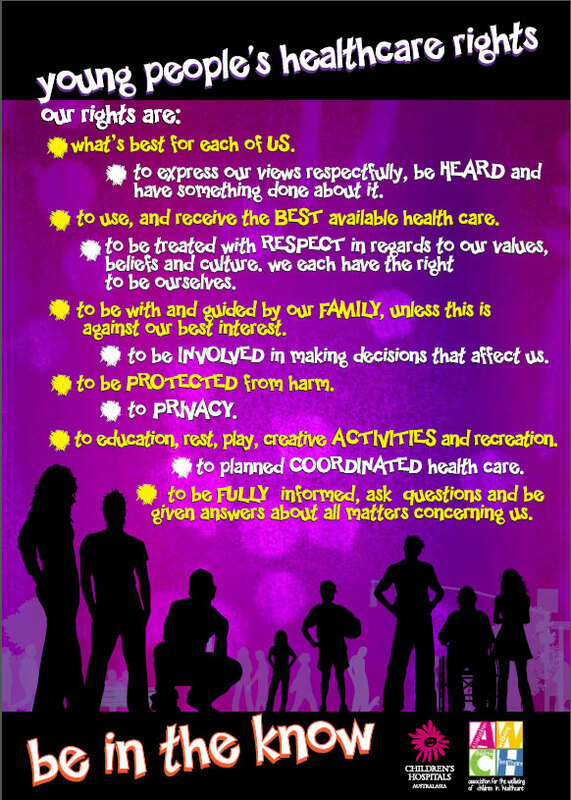 As part of this project and in partnership with children and young people, posters were developed outlining these rights. Later, the NSW Ministry of Health again partnered with AWCH and other stakeholders to create 2 videos outlining the rights of children and young people in healthcare. As a signatory to the Convention on the Rights of the Child, Australia has a responsibility to ensure that the rights of children are recognised and upheld. 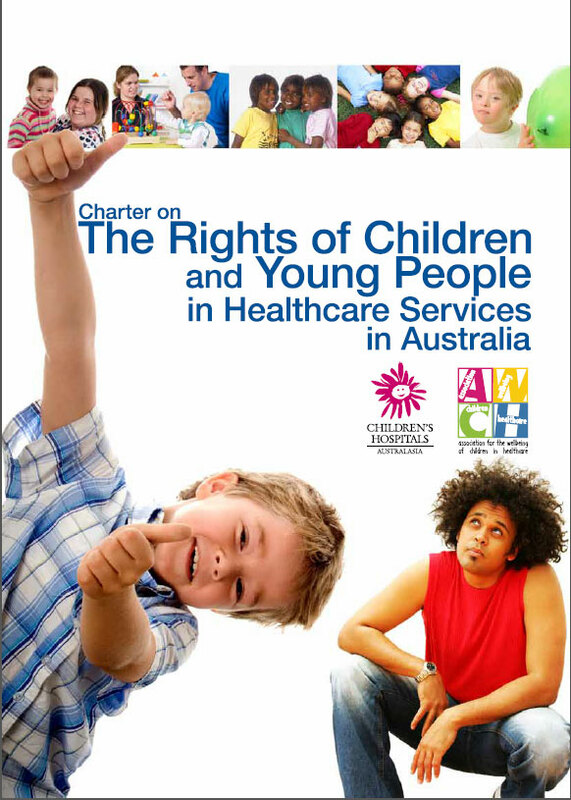 The Charter on the Rights of Children and Young People in Healthcare Services in Australia provides a framework to help empower children and young people to know about their rights and guidance for the staff caring for them. There is still much work to be done in this important area of children and young people’s rights – watch this space!